Al Rajhi Bank, a leading financial institution in the Middle East, called upon eProseed’s expertise to assist in the migration of its mission critical business databases to Oracle Exadata, a platform specially engineered to run Oracle Database. One year after the initiation of the project, the Bank is now reaping the benefits of improved staff productivity and resource utilization. In January 2016, Al Rajhi Bank (ARB), one of the largest financial institutions in Saudi Arabia and the Middle East, took the strategic decision to redeploy its pool of Oracle databases on the Oracle Exadata Engineered Systems platform. ARB has selected eProseed to help implement this ambitious project. Today the Bank benefits from improved applications performance with lower operational cost, while achieving better user productivity and stronger IT resilience. The main goal of this consolidation was to significantly improve the overall performance of the Bank’s business applications. “We have reduced our processing times by an average of 60%”, says Abdullah Ali Alkhalifa, Chief Financial Officer, Al Rajhi Bank. “In addition, our files processing for Oracle Financials Accounting Hub has become dramatically more efficient, we can now process multiple source system files in parallel without affecting other ebusiness modules, and all processing restrictions have been removed”, he adds. Due to its criticality and size (+50TB), the prime beneficiary of the migration is the core business database. eProseed’s result-driven commitment was a fundamental ingredient in ARB’s decision-making process. “This has translated into a fixed-price professional services engagement which includes guarantees both on the migration deadlines and on the resulting performance improvements”, underlines Geoffroy de Lamalle, Chief Executive Officer, eProseed. “As a complement of the migration project”, he continues, “we have offered ARB our eProseed Concierge Service, a total care service through which we provide the Bank with a fully managed service for their new Exadata platform, including all the database instances running on It”. A key component of the Bank’s initiative was the consolidation of database operations on a single technical platform. To this end, Oracle Exadata database machines were deployed, in the main datacenter and in a secondary site for Disaster Recovery purposes. Database replication between the datacenters increases the resilience and the availability of the data layer since the choice of a single platform facilitates the implementation of the backup and recovery strategy. Future projects will also benefit from the new architecture. Oracle Active Data Guard was used to ensure real-time data protection. “The switch from a SAN replication-based DR solution to Oracle Active Data Guard has eliminated the high cost of idle redundancy by allowing reporting applications, ad-hoc queries, and data extracts to be offloaded to read-only copies of the production”, affirms Mohammed S. Solaiman, Executive Manager Oracle Technical Support, Al Rajhi Bank. In addition to improved performance and availability, having all the databases up to date with the most recent version on a specially engineered platform provides new features while reducing licensing costs and freeing up substantial computing and storage resources. This also translates into increased user productivity, helping the Bank operate more efficiently as its employees become more productive. Thus, for example, one of the benefits of the migration to Oracle Database 12c is the opportunity to take advantage of a new option called Oracle Multitenant. This enables simplified consolidation that requires no changes to existing applications. 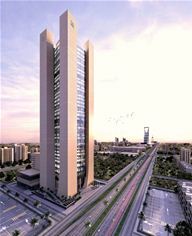 “With this new architecture, a multitenant container database can hold multiple pluggable databases, allowing administrators to manage and control a rising number of databases as one, yet retaining the isolation and resource prioritization of separate databases”, explains Rui Sousa, eProseed’s Delivery Manager in charge of the migration project at Al Rajhi Bank. The new platform will allow ARB to offer better SLAs to its internal customers, reduce the time to market for new applications and services, and increase its ability to respond rapidly and flexibly to changing market conditions. Founded in 1957, Al Rajhi Bank is one of the worldwide leaders in Sharia compliant banking with operations in Saudi Arabia, Malaysia, Kuwait and Jordan. The Bank is headquartered in Saudi Arabia and has over 500 branches and the largest customer base and ATM network in the country. eProseed is an ICT services provider and a software publisher. Honored with 8 Oracle ACE Directors and 14 Oracle Excellence Awards in the last 7 years, eProseed is an Oracle Platinum Partner with in-depth expertise in Oracle Database, Oracle Fusion Middleware and Oracle Engineered Systems. eProseed is also the publisher of FSIP, a comprehensive financial supervision solution dedicated to Central Banks, Financial Regulators and Supervisory Authorities. Headquartered in Luxembourg, in the heart of Europe, eProseed has offices in Beirut (LB), Brussels (BE), Dubai (AE), London (UK), New York (USA), Porto (PT), Riyadh (SAU), Sydney (AU), and Utrecht (NL).